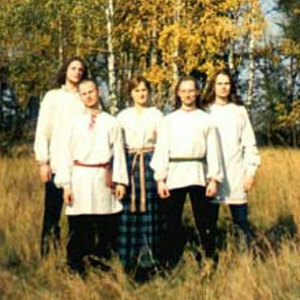 Znich are a belarusian pagan/black/folk metal group. Their first album "?????i? ? " (I'm pagan) was released in 1997 on a MC. It could be described as pagan metal with a strong black influence. This album has been republished on a CD in 2002. The second record "Zapaviety Apoczniaga Starca" was more folk, mostly because there were new members in the group. In 2007 band released their new album "Kryzy-Abiaregi".
" (I'm pagan) was released in 1997 on a MC. It could be described as pagan metal with a strong black influence. This album has been republished on a CD in 2002. The second record "Zapaviety Apoczniaga Starca" was more folk, mostly because there were new members in the group. In 2007 band released their new album "Kryzy-Abiaregi".